The ancient Greeks enjoyed dining on helmeted guineafowl. So did Europeans, but not until the 16th century. That’s when Portuguese seamen started bringing the birds home from Africa. They remain Africa’s best-known game bird. How many eggs does a helmeted guineafowl lay? Female helmeted guineafowl lay 6 to 20 eggs each breeding season. 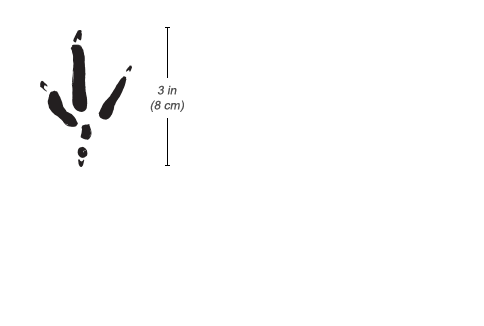 Tracks: Similar to that of the secretary bird, but the hind toe is almost directly aligned with middle front toe. 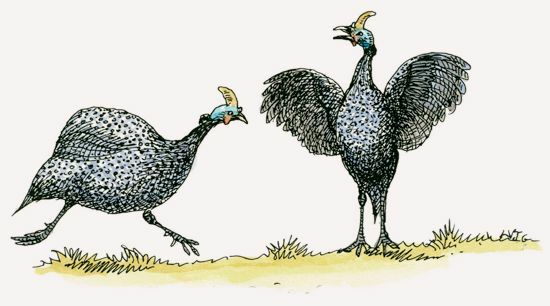 The helmeted guineafowl has two calls: a rattling kruh-kruh, kruh-kraaaa krr krr and a quieter pi-pi’oo. Helmeted guineafowl are gregarious and live in large flocks. Each flock develops its own complex society, with a distinct pecking order among males. Helmeted guineafowl feed on seeds, kernels of fallen corn, tubers, and insects, especially grasshoppers and termites. 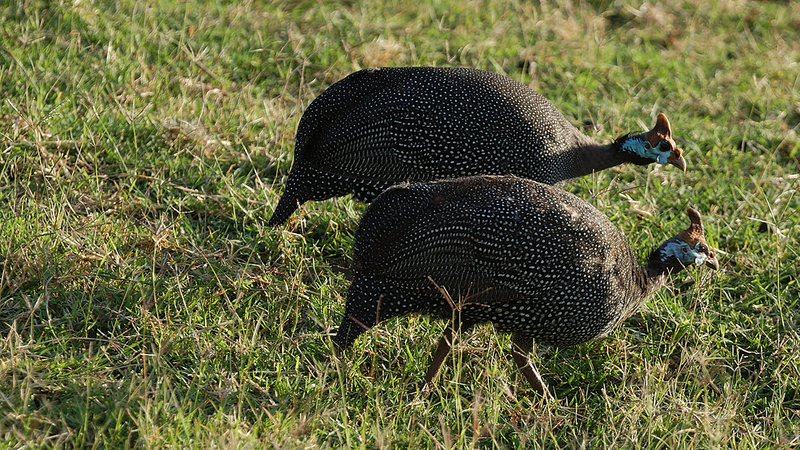 Helmeted guineafowl time their breeding to coincide with the arrival of the rainy season. As pairs form, males fight over females. To win a mate, a male displays for a female and makes food offerings. Pairs nest on the ground. The female lays 6 to 20 eggs that hatch in 24 to 27 days. By three months, the chicks are able to join the flock as fledged birds. 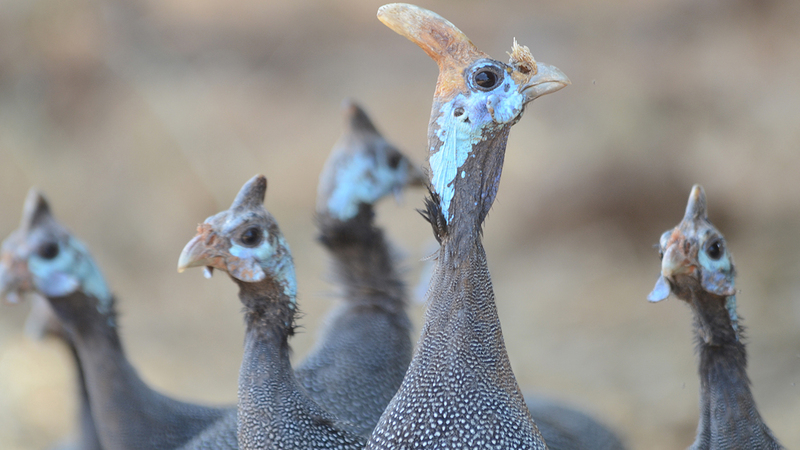 Helmeted guineafowl are known to glean ticks from warthogs. 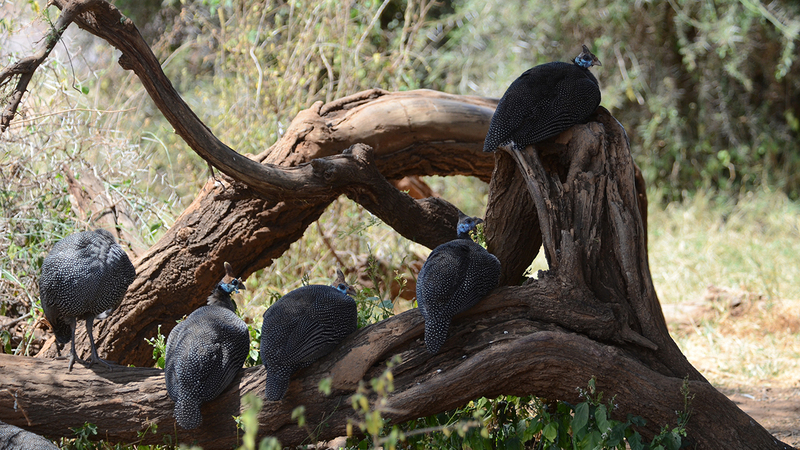 Helmeted guineafowl live in the woodlands, bush, and savannas of Kenya, most commonly in the west and south. The helmeted guineafowl is native to much of mainland Africa and has been introduced into Madagascar. Helmeted guineafowl were used in an experiment in New York State to see if they could help stem Lyme disease, which is spread by deer ticks. Scientists concluded that the birds provide a good defense, especially on lawns.